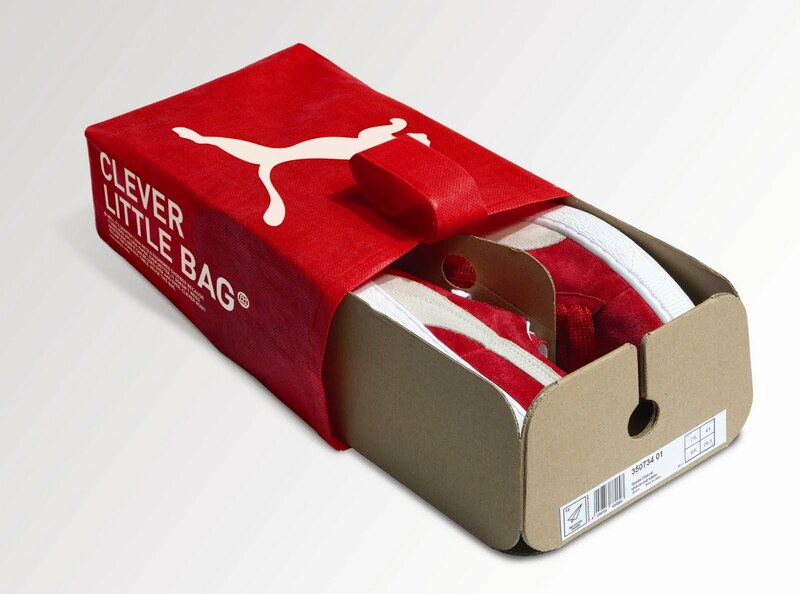 Puma creates ‘Clever Little Bag’ a revolutionary take on the shoebox – ¿¡ tjongolongo ?! Puma, one of the world’s leading sportlifestyle companies has designed an eco-friendly ‘clever little’ bag’. They will stop using their traditional box and start selling their trainers in these new eco-friendly bags. According to their site their new packaging and distribution system will save more than 60% of paper and water annually. They will start using the new bag next year. Tjongolongo, I think that this is yet again another great example of a cool eco-friendly way of looking at everyday items. Marketing wise this is a good step by Puma. I think that with this bag Puma will start a change in the industry. If the bags are accepted by the customers I won’t be surprised to see these type of bags used by every big sports company in the industry. Nowadays everyone is looking to see how they can be more environmentally friendly. Like I said about the eco-friendly Coca Cola bottles and the soft drink powered mobile phone, Coke and Nokia would be stupid not to look into these concepts, I am happy to see that Puma hasn’t only looked into the eco-friendly concept, but has decided to do something with it as well. I hope more companies will follow soon. Do you think these new bags will change the way sports companies sell their trainers?